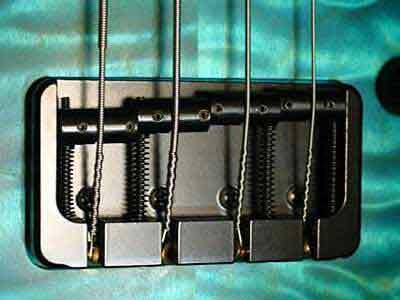 The Spector Locking Bridge has very unique structure. 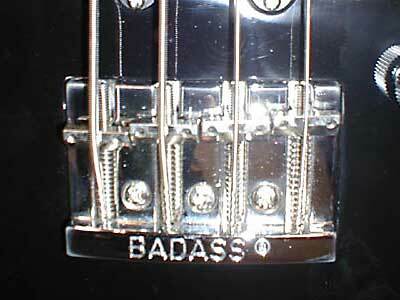 All string saddles locked only one screw on side of bridge. 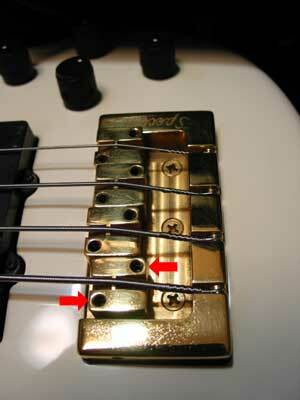 If the screw was loose setting, then leave strings from bass and you will lose the saddle position that was completely adjusted. See Spector owners manual on official site. Set screw loosen on side of bridge by Allen wrench (See left photo). You had better loosen strings a little, you will easily set saddles. If you do not so, saddles scratch base of bridge. Finally, let's set screw tight after adjusted. You can adjust height by two screws in saddles. This screws can bent forward or bent back saddles. So, you can change some feeling of tension, adjustment string vibration, reduction of string vibration loss in bridge, etc. It a tip of this bridge. Please refer to below. The octave adjustment is very easy at this bridge. The saddles can move so easily by finger. but, you should loosen strings a little. Spector's bridge is designed very well. 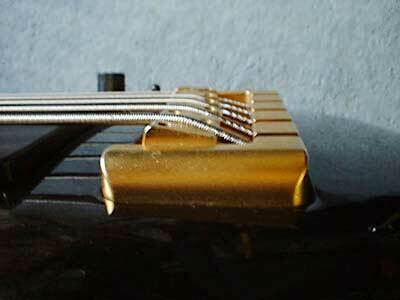 It can octave adjustment and string height adjustment, also an angle adjustment of the saddles. The angle is very important. 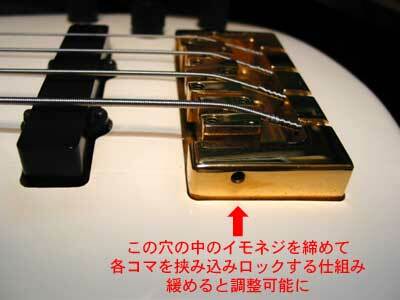 If angle adjustment is bad, it cannot transmit string vibration to body. Especialy important by bottom strings. At first you pick the string, then check the string vibration between a saddle and tail piece. If it vibrated, it do transmit loss! Adjust the angle of saddles! If you adjust an angle of middle position between nut-to-saddle and saddle-to-tail piece. The un-use string vibration will stop. To adjust the bridge. 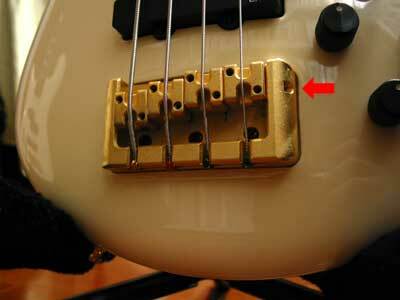 You adjust string height and octave pitch, then tight set screw side of bridge. When if angle of a cross direction is different, then screw is unstable. So, tight set screw of the saddle a little. And check again the string height balance of each strings. Repeat this process you feel is necessary. 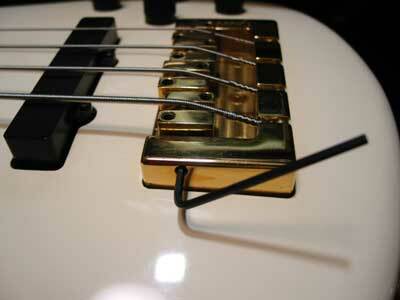 Anyway, when you change the strings, check the screw on side of bridge... That is an unspoken agreement! Positions of a bridge screw are different by the production year. I think that there are many Spectors in a control knob side now(see arrow in photo). This model was made in Czech before 2001. Wrench Size 2mm. US SSD bridge. Fine granular surface, satin finish. Wrench size 1/16 inch? The Badass bridge used by NS-2J and some models. 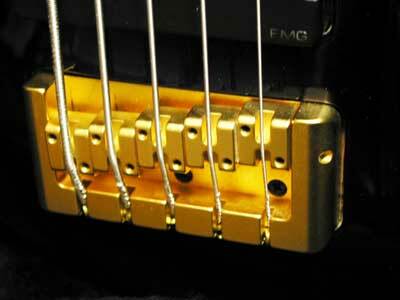 Many bolt-on models are mounted non-Spector's bridge. NS-2J with Badass models are very popular in Japan. This silver Badass is too shine. A little rusted gold Badass is cool, too. US NS-2J recent model mounted the Hipshot "4 STG-A BL". Wrench Size is very thin. That is 1.5mm or thinner inch.